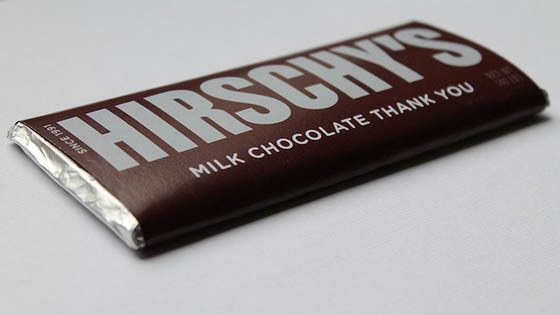 At first glance, you might think it is a regular Hershey’s chocolate bar. 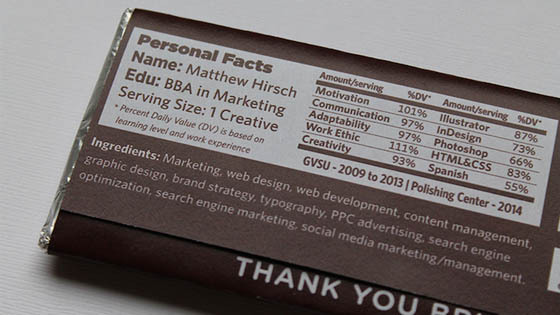 However, if you take a close-up, you will surprisingly find it is actually a “Hirschy” bar that serves as both a gift to prospective employers and a resumé. 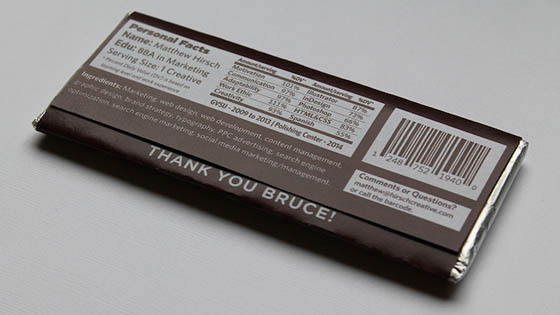 The front of the package is a play on both his and the food’s name, while the back lists his qualifications and skills in place of the nutrition facts and ingredients. 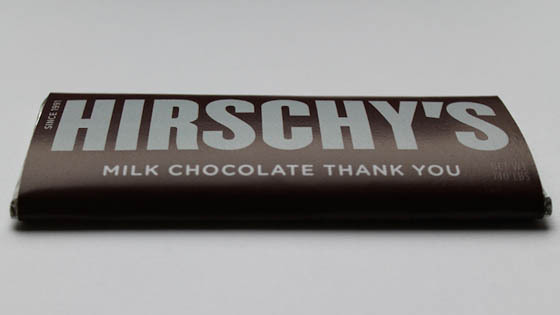 Moreover, you can find Hirschy’s educational background, contact information on the appropriate place of the package. 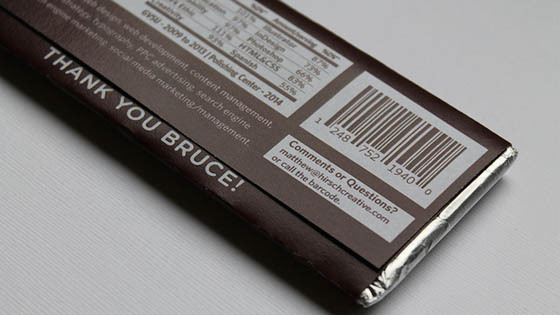 According to designer, the idea behind this ingenious packaging is to strike up a dialogue and give potential employers an idea of his skill set. What a sweet and unusual resumé!